Residential design work for new construction, additions, and remodels. We meld the charm and character of the existing house with the vision everyone desires in a renovated home for today's living styles. We fully understand keeping the integrity of the existing home intact, while still delivering modern and updated designs which match the client's vision. 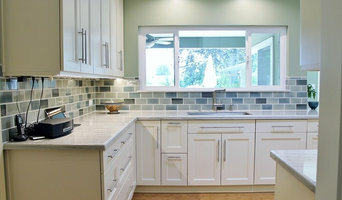 Whether it be a modern or traditional aesthetic, our services range from smaller kitchen or bathroom remodel jobs, to entire home renovations. We are not a company who 'flips' houses-we completely reimagine your dream home using only the highest quality materials and vendors to create a unique and custom product for our customers. Enjoy more space and comfort in your home with high-quality workmanship that will bring your dreams to life! For over 30 years Roger Perron Design and Construction has provided fine home design, remodeling and quality custom new homes. Roger is an award-winning Los Angeles designer and general contractor who has conveniently combined architectural design services, custom construction and interior design, all within one company. Roger is a second-generation builder who was expertly trained by his father. His goal is a beautifully completed, high-quality project and happy clients! The achievement of this goal is demonstrated by Roger’s high level of repeat business, with 20% of his business coming from past clients who chose to do multiple projects. Roger has 28 five-star reviews on Houzz and an A+ rating with the Better Business Bureau. Experience the honesty, trust and high level of communication available at Roger Perron Design and Construction. Call now for your free Design Consultation and complimentary design ideas! Chelsea Design + Construction is a full service design and construction company specializing in custom homes and remodels. In addition to custom home building and design, we also offer services in commercial construction. Our full time staff enables us to provide comprehensive design and contracting services in a one stop shop, offering high quality, cost efficient solutions with quick turnaround for our clients. 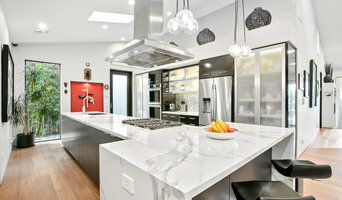 Vogt Design Studio is a custom residential design firm specializing in kitchens and baths. Thoughtful and creative guidance is offered from the initial planning phase of the floorplans and elevations through the selection and aesthetic coordination of finish materials: fittings, fixtures, cabinetry, appliances, lighting, flooring, tile, stone, paint and wall and window coverings. 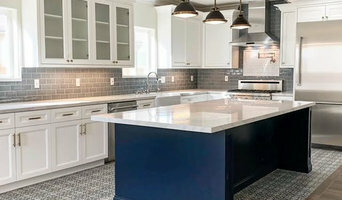 Vogt has years of experience working with architecturally significant houses and has a formal education that includes a Masters Degree in Fine Arts and Professional Chef Training.